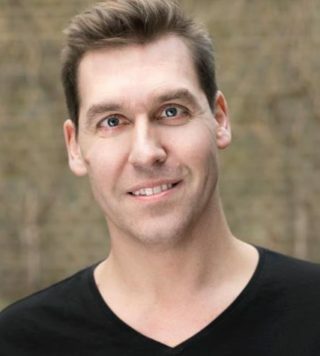 Bio: Dickon trained at LIPA and studied Opera at Birkbeck University. He is currently playing the Porter in David Walliams ‘The Midnight Gang’ at Chichester Festival Theatre. He recently played Lurch in the Addams Family Musical No.1 Tour. Other recent credits include: ‘Carmen’, ‘Krol Roger’, ‘Guillaume Tell’,’ Die Fliegende Hollander’, The Royal Opera House. Coster, ‘Clocks 1888’, Hackney Empire/National Tour. Dickon played Sergeant of Police in‘Pirates of Penzance’, Regents Park /National Tour. He headlined with Mike and Kate Westbrook, ‘Watching the River Flow’ Festival. Voiceover work includes Dreamworks animation of ‘Sinbad’ and ADR for various Film/TV programmes including ‘The Tudors’, ‘The Borgias’ and Ridley Scott’s ‘Robin Hood’. Description: Dickon's voice has a deep, rich timbre with a hint of gravel. Ranges from authoritative to smooth, sincere and engaging. He's also a trained Opera singer!